If you're an actor looking to book a gig on a buzzed-about show, look no further than Twitter. 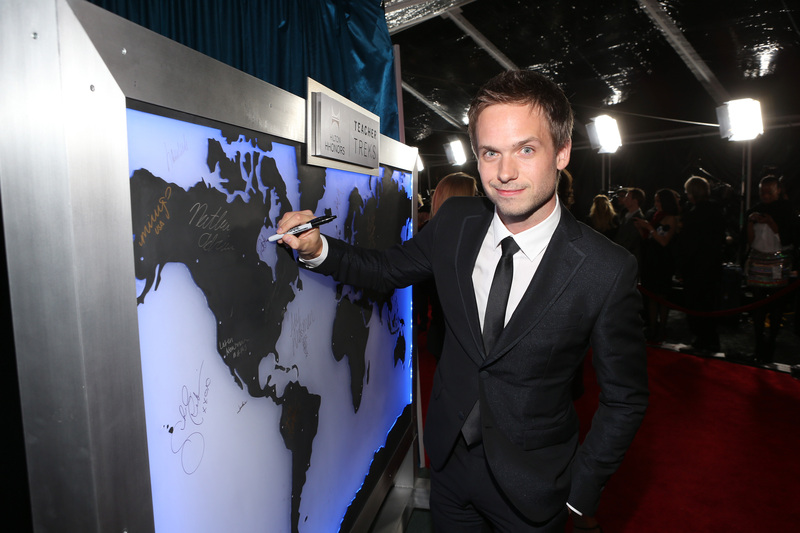 At least that's how Suits star Patrick Adams managed to finagle himself a guest spot on BBC America's Orphan Black . The self-proclaimed superfan of the sci-fi series about a bunch of clones (all played by stupid-talented actress Tatiana Maslany) didn't need any sort of power or unusual circumstance to weasel his way in, merely a hashtag. You see, using the Internet for personal gain isn't just for the normal, run-of-the-mill plebes like you or I anymore. Oh no no, those days eclipsed us with the advent of Kickstarter, it seems (thanks, Veronica Mars). In fact famous people are getting in on The Secret-esque quality that Twitter and other socially charged mediums can have when the right set of circumstances come together. And sometimes those circumstances lead you right into the waiting arms of your dreams: mainly a "master class" (his words) with the most impressive young actress on the small screen today. Adams isn't the only famous person obsessed with the series. Stars such as Patton Oswalt, The Shield's Shawn Ryan, and Lost's Damon Lindelof have all come out with effusive praise for the series and its mind-boggling star. So while his venture into guest stardom-via-obsession may be the first (other guest stars — Michiel Huisman (Nashville), Peter Outerbridge (Nikita) and Ari Millen (Rookie Blue, Nikita) — got their roles the old-fashioned way), he might not be the last, either. While details are scarce, there are a few things we do know: Adams will appear in an as-yet-undated episode as Jesse, a regular guy with an penchant for bravery it seems, that finds himself in a wee bit of trouble thanks to the arrival of a pack of clones (all played by Maslany) in his life. Though there's also no word on how they end up in his life, either.